Can not search online on you computer and get the error: Windows did not detect any networking hardware? It’s time to check your Ethernet card driver(or called network adapter driver). The missing or outdated network driver can always make your PC lose network connection. Go on with this post to get the correct driver for your computer. Since you cannot access the Internet, you can choose to download the latest driver for your network adapter from another computer with Internet connection. Insert a USB flash drive into another computer with Internet. On the same computer, head to your Ethernet card manufacturer’s website. Find and download the latest driver for your network adapter to your USB flash drive. Note: The driver is always listed under support or driver download dialog. After downloading driver, unplug your USB drive and plug it into the computer with error. Then double-click the driver file to install it. Reboot your computer to make the new driver take effect. Check whether your computer can access the Internet. Having problem/ No time/ No patience with finding the correct driver? Let Driver Easy help you then! 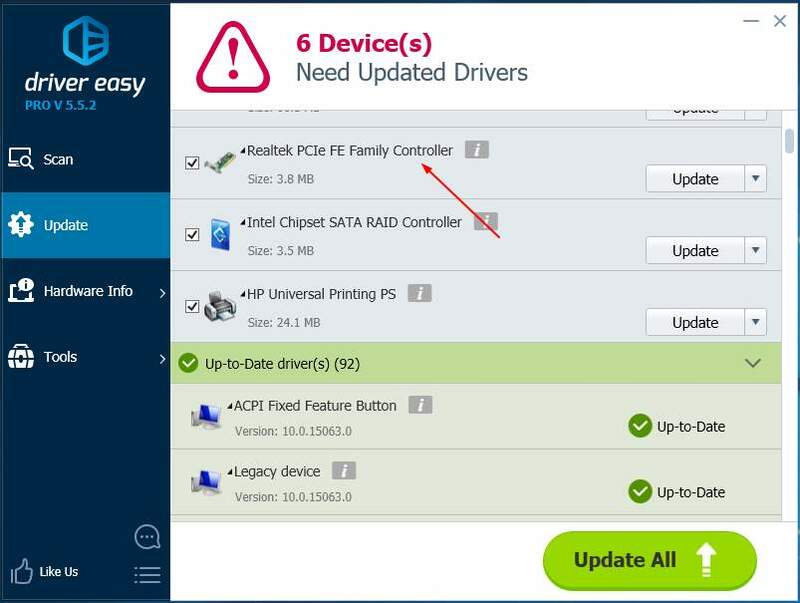 Driver Easy is a 100% safe and extremely helpful driver tool. With its help you can say goodbye to driver headaches and delays forever. 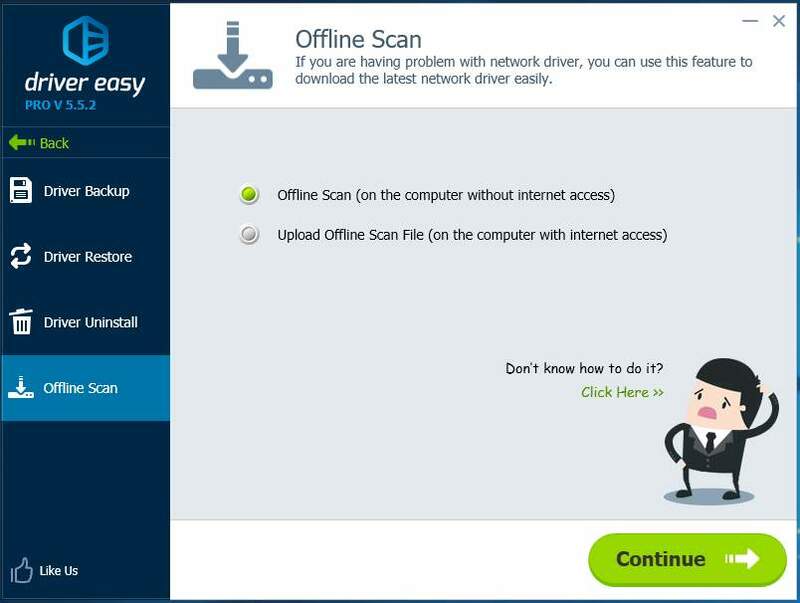 Download Driver Easy to install and run it on your PC. 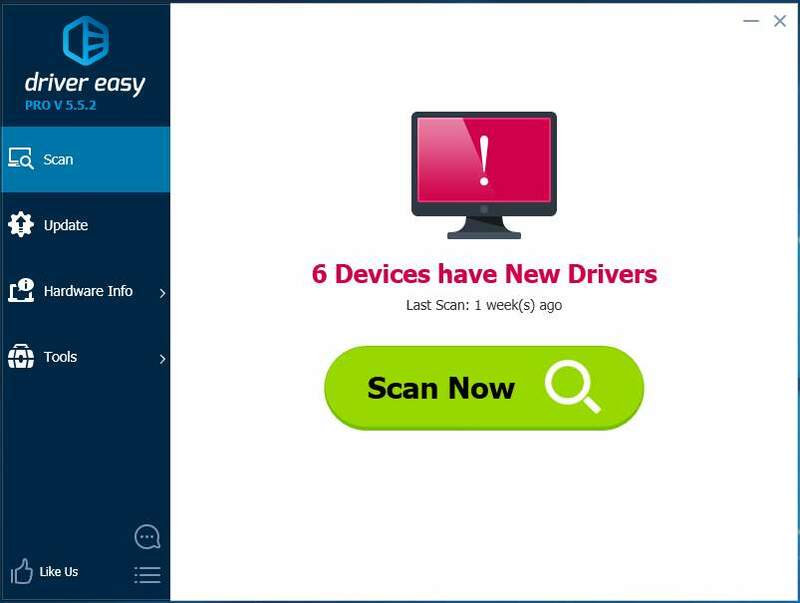 With Scan Now, it can scan out all of your outdated, missing and corrupted drivers and find the correct ones for you in less than 1 min! Your network adapter driver is no exception. After scanning, you have 2 options. Option 1. Install the correct drivers Driver Easy found for you one by one with Free Version. Option 2. Install all the correct drivers automatically in just one-go with Pro version. No worry to try it as it comes with a no-questions-asked 30-day money-back guarantee and professional tech support 24/7. Note 1: Downloading and using Driver Easy need Internet connection, due to the error you can use its Offline Scan feature to help you fix the problem. Note 2: After installing the new driver, please restart your computer to make the new driver take effect.